Am I talking to the wrong person? You do need to know your negotiating partner. Enjoying a guilty pleasure over this July 4th weekend, I watched a Netflix-delivered DVD of Saving Mr. Banks. 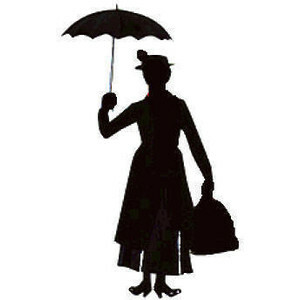 It is the 2013 behind-the-scene story of Walt Disney’s effort to get the rights to make a movie of the beloved children’s book, Mary Poppins. Mr. Disney, it seems, had promised his daughters he would make the movie, but the author, P.L. Travers (played by a dour Emma Thompson), resisted Mr. Disney’s chirpy importuning for twenty years. When she found herself in need of money, she accepted a trip to Los Angeles to allow him to try to convince her. He launched a two-week charm offensive with the help of talented songwriters. But Mrs. Travers, as she insisted on being called, would have none of it. She said she did not want her beloved umbrella-toting character Disneyfied. So, essentially, the entire film is about a negotiation. At the end of the trip, when Mrs. Travers storms off back to England, a key negotiating insight occurs. Mr. Disney is told that she is not English but Australian and that her family name is Goff. Mr. Disney says what I found to be the crucial negotiator’s insight line: “Have I been talking to the wrong person?” By the time he follows Mrs. Travers on the next flight to London and knocks on her door, he not only knows who she is but that her father’s name was Travers Goff and that she has taken his first name as her last name – and he has discerned that Travers Goff is Mr. Banks, the Mary Poppins character whom the author cannot relinquish. We all know that the outcome of the negotiation was a great success for both parties. Why did I focus on this one line? I think it contains within its short seven words a few overlooked keys to negotiating success. First, it suggests that you do need to know your negotiating partner– that itself is often missed. It is not just how much you want something or the great reasons that you have to support your vision of a deal, your own power, fame, or previously successful charm, you must know the other party and how she might react to your “clear and correct” views. And it implies that you must do even more, you must have enough empathy to perceive another’s world view. In this case, Disney thought it was both the author’s perceptions of him and his background and her strong attachment and the unjustified guilt of a child about her father that made her cling to her creation even against her own financial interest and in the face of losing her home. Make sure you are never talking to the wrong person when you negotiate, talk to Helen Goff, not Mrs. Travers.